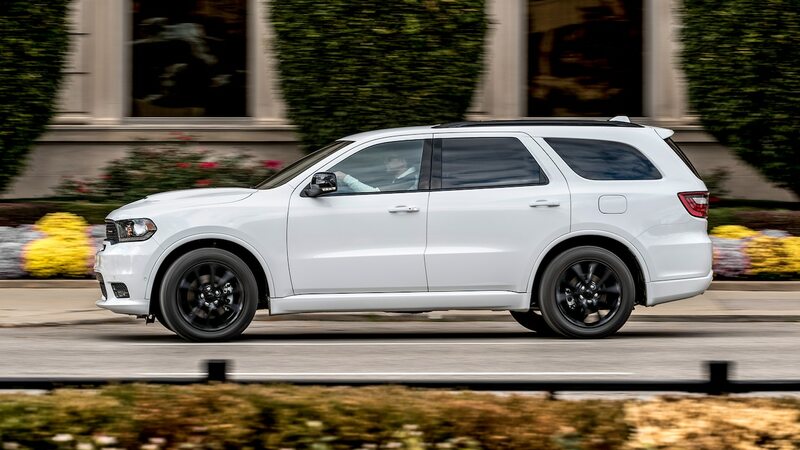 As I type this, Dodge has just asked for its Durango back, and I’ve just begged to keep it a few weeks longer for Verdict photography and other cathartic rituals—like detailing it as though I were preparing to sell it myself. Interestingly, even a full year into my ownership experience, I’m finding new surprises and delights. This time while sitting in the stationary but running Dodge during a hot summer conference call that required my parking under the cell tower up the road from Ghibli Shores, I found myself poking around in the electronic owner’s manual. What a boon it is to be able to search, via voice or touchscreen keyboard, for topics using keywords of my choosing, not the obscure ones dreamed up by the editors of every paper owner’s manual index I’ve wrestled with. You can also search by major topics like vehicle operation, maintenance, radio/phone/navigation, and emergency/support. There’s even a giant icon glossary that explains every image adorning a switch, decal, idiot light, or molded plastic part on the car. The system lets you save items you may need to refer to frequently on a favorites page. I saved the sections on fuses, tire pressures, and towing. Oh, and if you were wondering, during that 1-hour 38-minute static air-conditioning session, the computer’s reported fuel economy average dropped from 19.8 to 16.7 mpg. During parts of the teleconference that didn’t pertain to me I schooled myself on recreational towing. The ability to flat-tow the Durango behind an RV is a unique selling proposition pertaining only to 5.7-liter V-8 AWD models like ours with the two-speed active on-demand all-wheel drive MP 3022 transfer case that Jeep markets as Selec-Trac II. That’s because this one offers a “neutral” setting, and the procedure for engaging neutral involves 14 steps that scroll down three screen pages interrupted by two yellow boxes describing the dire consequences of overlooking a step. Operating the neutral switch requires a ballpoint pen or unwound paper clip —like resetting your Wi-Fi router at home. This eliminates the possibility of inadvertent engagement, and an orange light flashes while a shift is in progress, glowing solid (or switching off) when completed. Engaging neutral took about 4 seconds; disengaging took just over a second. Another late discovery—the master climate-control screen, which is needed to override the automatic air distribution mode, which I sometimes needed to send defogging air to the windshield while still warming my feet. It’s on the second (swipe left) Uconnect Apps screen. Upon discovering it in this inconvenient location, I pressed and held the icon, then moved it to the main menu bar below (where I’d always expected to find it), swapping out the driver seat-heat shortcut button. This tablet-like behavior is why we continue to praise the Uconnect operating system.